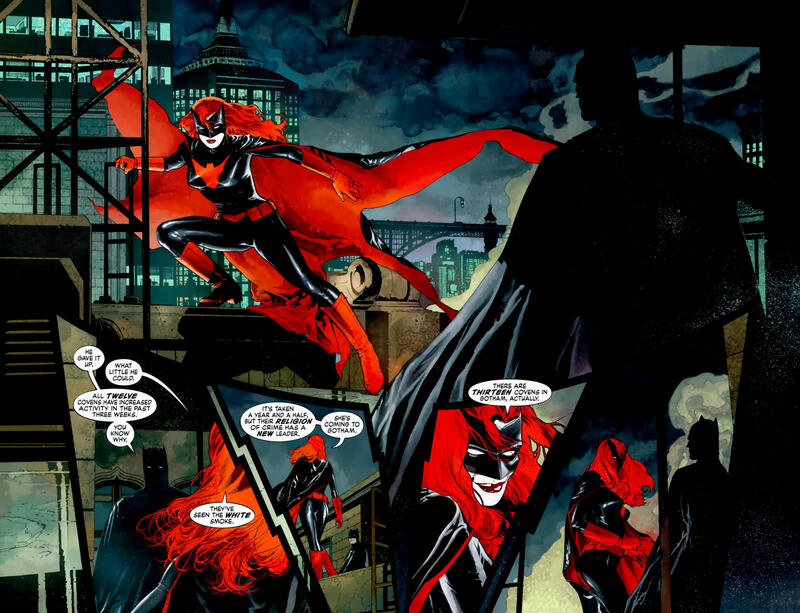 She's Fantastic: Character Spotlight on BATWOMAN! 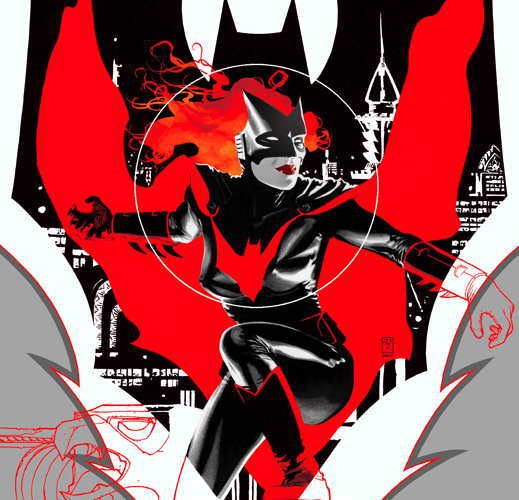 Batwoman's Modern incarnation is one of my favorite all-time developments in DC Comics. I adored the original Kathy Kane Silver Age Batwoman, but she never quite evolved out the cheesy campy character whose sole purpose was to butch-up Batman. I loved her, but I accepted her as a goofy figment of the past. Then in 2006 we met this new version of the character. There aren't really many parallels between the two characters aside from her title, real name, and penchant for red. I personally feel that Kate got off to a rocky start. Her first few years were pretty boring and clichéd. There didn't seem to be any depth to the character beyond her sexuality, religion, and social standing. 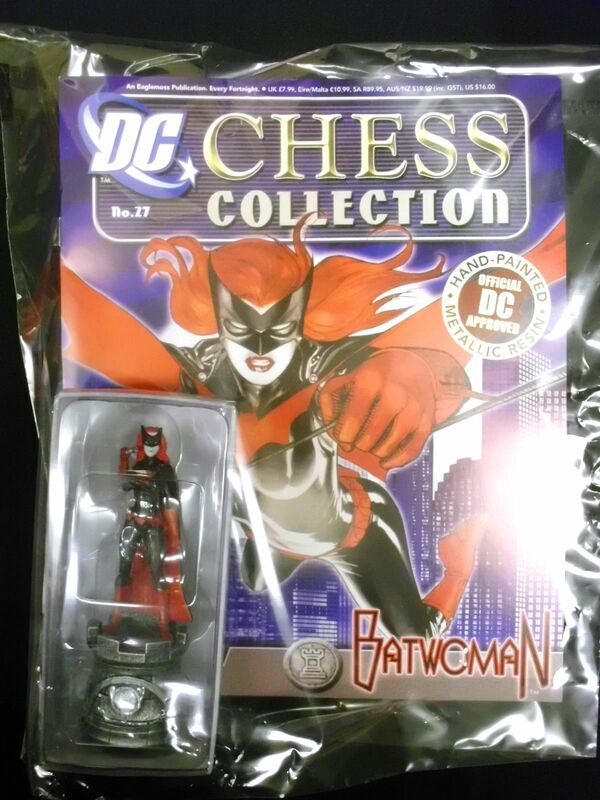 But then she took over as the title character in Detective Comics in 2009 and suddenly she was awesome. She suddenly had motivation, backstory, personal conflict, and believable fighting skills. 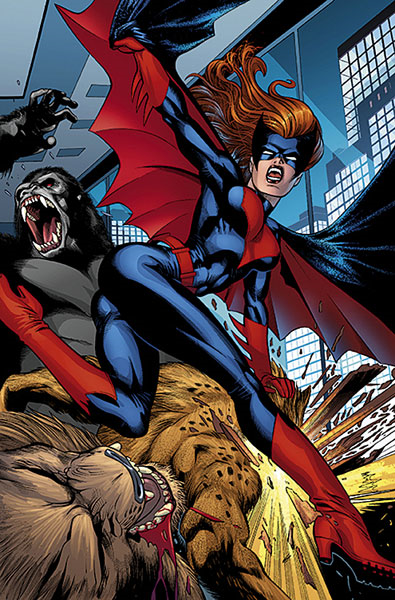 She was one of the very very few characters that was left unchanged by the upheaval of the DC: The New 52 revamps in 2011. 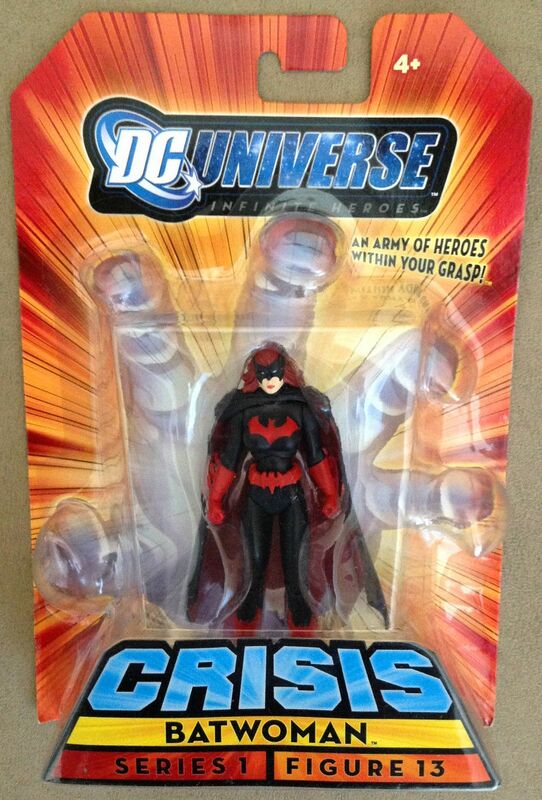 Kate Kane has received a decent amount of merchandising in her brief seven years, let's check, it all out below! I really like this figure. It has some flaws, yes, but it was very exciting to get an action figure of Batwoman so early on, and Sam Greenwell sculpts are always beautiful. 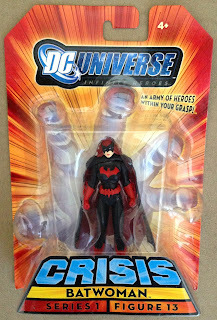 The flaws are (1) very odd leg articulation and posing, (2) an awkwardly painted face that makes her look like a zombie from certain angles, and (3) weird hair.. but, hey, that's what she looked like in the comics back then. 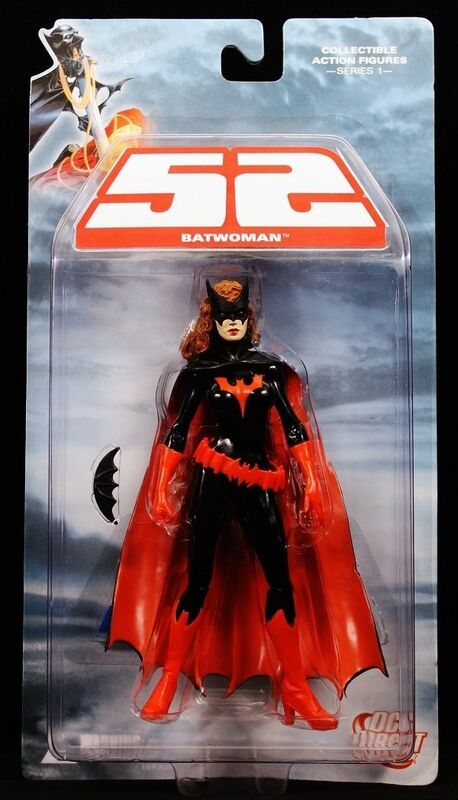 Batwoman came with a black batarang that I forgot to include (although I'm pretty sure she can't even hold it -- which is probably why I didn't have her displayed with it in my collection). This figure was a little unexpected. The Infinite Heroes line seemed to be focusing on classic characters and designs during its brief run, so a new character like this was a nice surprise for me. I always thought she looked a little stiff and bulky around the shoulders, but overall she was a welcome addition to my collection. This mini-bust is beautiful. The only odd thing with this sculpt (and the whole second series of WoDCU busts for that matter) is that she leans back really far. It makes for a much more dynamic looking pose, but it also limits the angles from which she looks good. This Mini-Mate also came with a hairpiece for her unmasked look that I forgot to photograph her with. 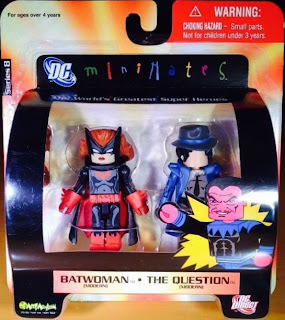 It is the same piece that came with Batgirl and Hawkgirl. 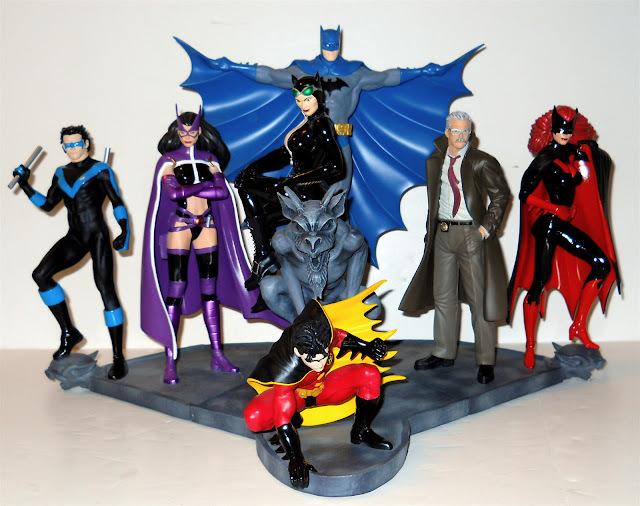 So my regular readers might remember that I bought the entire Batman Family Statue in order to chop it up and display the individual characters (and also customize some). 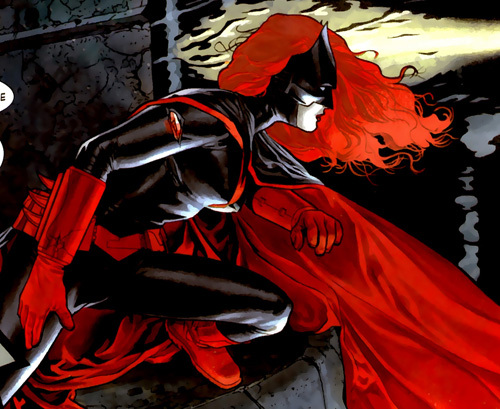 Batwoman is no exception. She is not customized (yet) but she is detached from Commissioner Gordon. I did some (poor) photoshopping of the base in these photos because in reality there are big white gouges and breaklines from the operation. 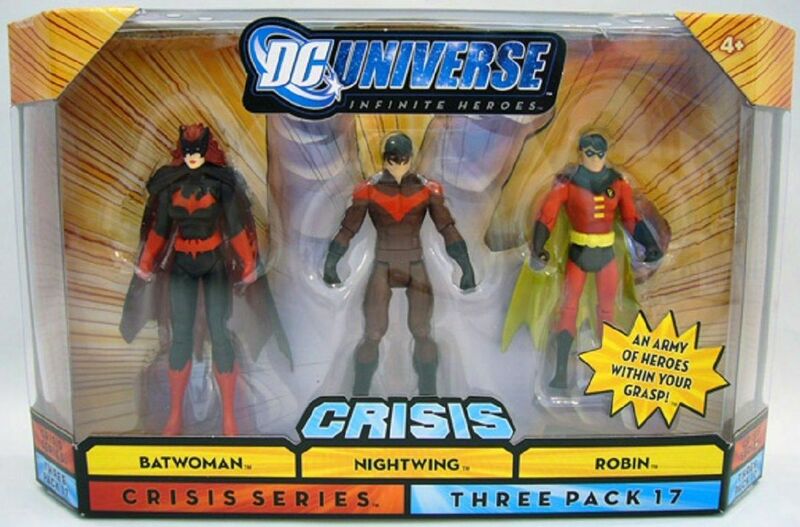 I basically removed Gordon and customized him, but never got around to Batwoman. I love this statue! I haven't been excited about a Cover Girls statue since the Adams Hughes Poison Ivy from years ago. 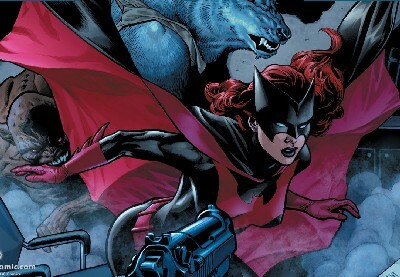 Batwoman looks fantastic. If I had to make one minor criticism, it would be that I wish her red color was more bright and vibrant (and not metallic/pearlescent). We fans of the comics want the bold apple red! Here are some images of Kate from the comics. The first two images are pre-Detective before her character was really fleshed out and her costume was made more utilitarian. Fantastic post. I love the detail you go into with each figure. Thanks! These Character Spotlight features are my favorite to do because this is pretty much the way I collect - not worrying about scale or team building, but just obsessing over characters and variation. I have a ton more I want to do, but I really need to pace myself because they can be a little exhausting :) Thanks for reading! Wonderful collection! That Cover Girls statue is gorgeous, I might have to pick it up eventually once I get a job. 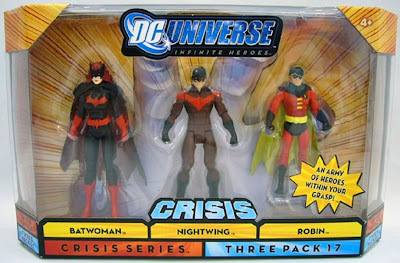 At the moment I'm waiting for DCC to give us a new Batwoman action figure, hopefully she's not too far in the future. Love this mega-post, Kate Kane is an excellent character and I've got to say that out of all the figures you've highlighted above, the Cover Girls statue is my favourite. I really enjoy Artgerm's style, he draws some very gorgeous women with just enough influence from Asian comic art in his technique. Jack Matthews brought it to brilliant life. 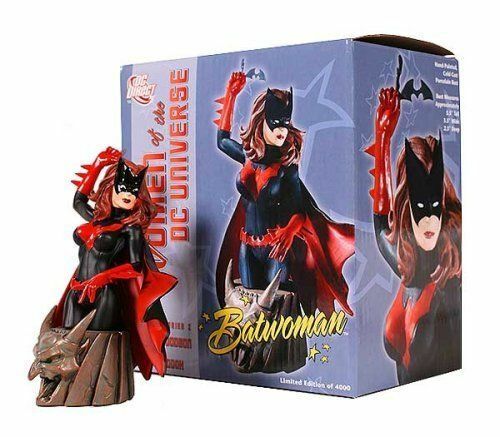 I made a custom DCUC Batwoman, which you can check out here. The second picture shows two other customs of the character I made, but the latest is far and away the least terrible. Thanks! I somehow missed this comment all those months ago. The link no longer pointed to the original page, so I searched until I found all your Batwomen. 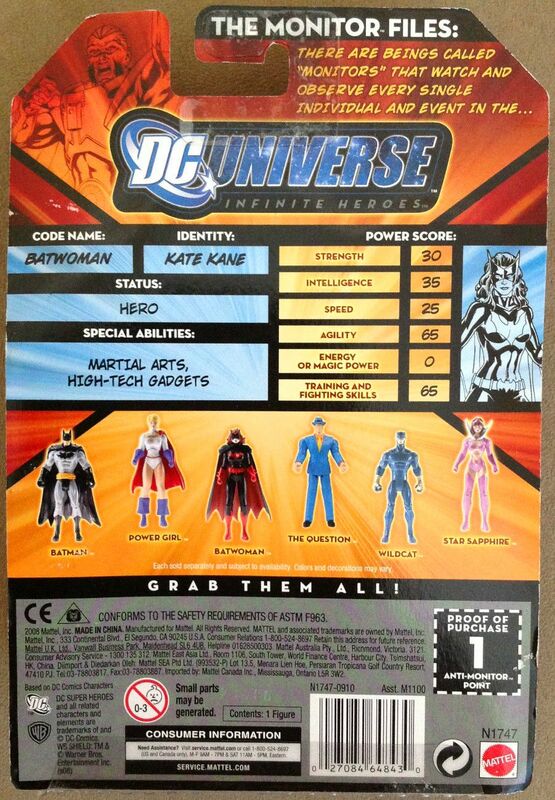 I like the Huntress one the best. 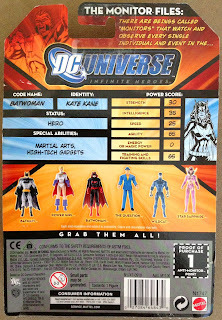 The DCUC one with the WW head is a close second though. Great job! I also like Artgerm's style, although I don't like the way the Batgirl Covergirls statue turned out. 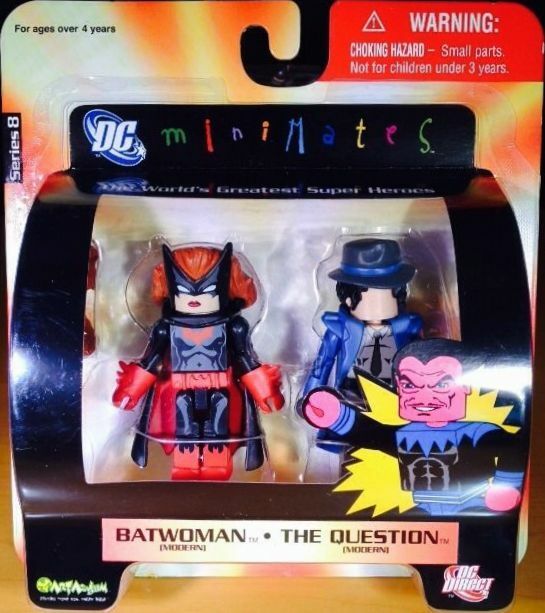 Huntress and Batwoman are gorgeous though. so is Poison Ivy, but I haven't seen her in person yet. So this is three years late, but thank you for seeking out my custom Batwoman. I've just made a new one from the Arkham Knight Batgirl figure here . Thanks! 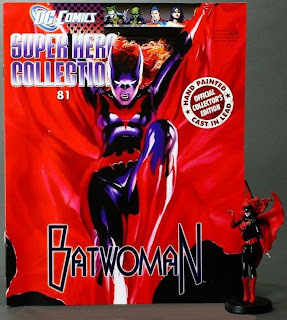 sweet batwoman collection!!!!! great post!! Thanks! 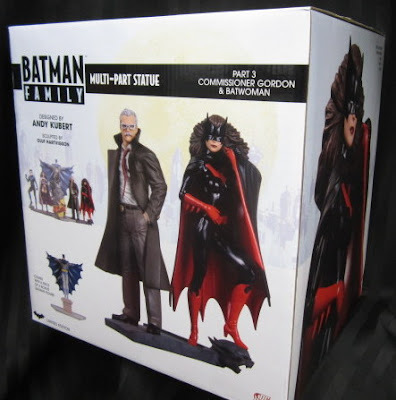 I'm hoping there will be a new figure to coincide with the new Batman: Bad Blood movie. She seems to feature heavily in it! about the Batman family part with Detective Gordon. Was it a reissue or did you customize her hair ? 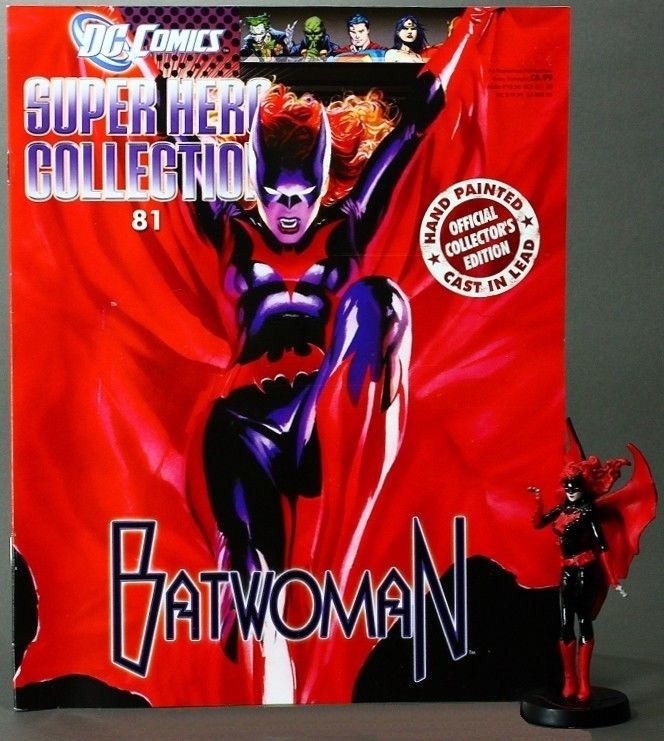 Batwoman has brown hair on some pictures of the statue. Which I prefer to the vibrant red.